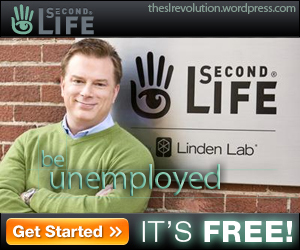 I love the Second Life adverts which Linden Lab have come up with. When it’s not some random SLer you’ve never heard of being morphed into a pixellated form, it was an obvious rip off of Avatar. 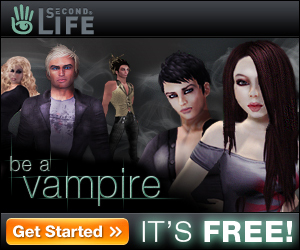 Amazing how IMVU had the exact same idea..
Is there a vampire movie coming out or something? I can’t say I’d noticed. Of course you can be a blue-skinned utopian dreamer, or a glittery pale-skinned bootylicious vampire. 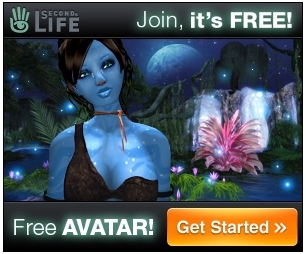 Alternatively, Linden Lab can put out more direct adverts which are guarenteed to be much more appealing. Is Amazon Destined to Replace Marketplace and Buy SL? He Said, She Said, They Said. You disagree with something said in a post here? We welcome your thoughts and opinions... not only in the form of comments. Think you can make your point eloquently? Would you like to try? Simply send your intended blog post debating something you've read on The Revolution to Hawksrock Gunawan, JellyBean Madison, or Rosie Shark in world. If your writing makes the cut, you will be given permission for a one time post! Bring it! Opinions expressed here are those of the individual authors, unless otherwise noted.